Andrew Ranulf Blankenship is a handsome, stylish, nonconformist with wry wit, a classic Mustang, and a massive library. 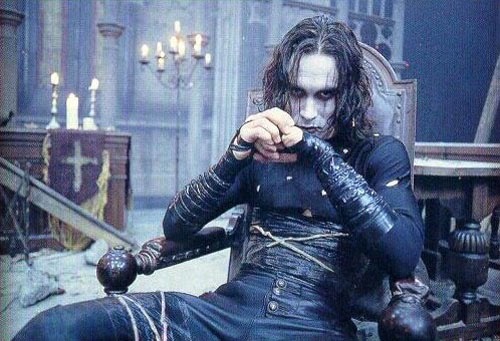 He is also a recovering alcoholic and a practicing warlock, able to speak to the dead through film. His house is a maze of sorcerous booby traps and escape tunnels, as yours might be if you were sitting on a treasury of Russian magic stolen from the Soviet Union thirty years ago. Andrew has long known that magic was a brutal game requiring blood sacrifice and a willingness to confront death, but his many years of peace and comfort have left him soft, more concerned with maintaining false youth than with seeing to his own defense. Now a monster straight from the pages of Russian folklore is coming for him, and frost and death are coming with her. Back in 1994, when I was (dsjfhjdsbjs) years old, most of the television I watched was cartoons. As such, most of the advertisements I would have seen would have been geared towards children. So, when my friends said to me, hey Szever, let's go see The Crow," I had no idea what that was. I don't remember much of the incident, but I'm sure I put up a little of a fight for seeing something I didn't know what it is. They gave me the briefest of synopses, and I was still reluctant, but in the end we went (and we were under 17 for that R rated movie... Sssssshhhh!). The movie is amongst my favorite of all time. This story has a purpose (as they usually do on here). Read on. For reasons yet to be determined, the bodies of the recently deceased are returning to life... no... that's not right. For reasons yet to be determined, I have been oddly fascinated with all things Russian lately. So, when I saw the synopsis of this, my brain focused in on "a monster straight from the pages of Russian folklore is coming for him," and that's about all I saw. I didn't really read the rest of it because why does that matter? It's about Russian folklore. It was The Crow; a book that I had only the vaguest notions on the premise, but pushed through anyway. And it was well worth it (broken writing rule #3. And don't start a sentence with a conjunction). The book was NOT what I was expecting (though I suppose it might have been had I read the synopsis). I was expecting horror - almost to a cheesy level. This was like a horror that was written by the lovechild of China Mieville and Jim C. Hines. It very much has a Libriomancer feel to it (thus it is little horror and more... thriller, maybe). A modern story of magic, but some of it is so absurd (in a good way) that it has a China Mieville feel too. Buehlman, however, does not break the famous rule for writing (as Mieville is apt to do) #22. Never use a big word when a diminutive one would suffice. The story is about an American warlock, wizard, necromancer, whatever you want to call him, his lesbian friend, a Russian rusalka (think undead mermaid... sort of), Baba Yaga, and revenge (who doesn't love a good revenge story? - that sounds familiar)! It is an easy read with very short chapters (making it good for reading when one is... indisposed). The pacing is a little slow to start off as you need to learn about the magic in the world Buehlman has created, how it works, who can do what, etc. By the end, the pace is frantic, the action is high, and the magic is fun and interesting. There are twists, and the outcome was certainly not what I would have expected (maybe Buehlman writes more novels in this world... Buehlman? Buehlman? Buehlman? Frye? Frye?). On Goodreads I went with four out of five stars - as much as I enjoyed it, I can't put it in the same company as Patrick Rothfuss, George RR Martin, etc. 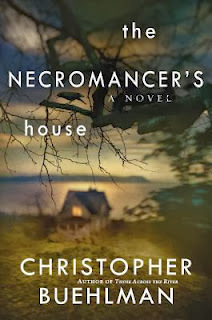 But 4/5 may or may not still be on my recommended list (and The Necromancer's House has made that cut - I recommend to fans of Jim C. Hines, to fans of modern magic, to fans of fun/funny/horror/thriller stuff). My blog ratings tend to be more fun. Let's see. Buehlman created a world where things are not always what they seem to be. As such... It's a rocket ship! Bannerizer made it easy for you to promote ClickBank products by banners, simply go to Bannerizer, and get the banner codes for your favorite ClickBank products or use the Universal ClickBank Banner Rotator Tool to promote all of the available ClickBank products.